I am starting a new game with a good friend as DM. In my play group, I am almost always the DM, but this time one of my players has decided to run his own game with me and two new players. In order to fit his "gothic" theme, he has removed heavy armour from the game entirely, saying that it is "too bulky" and would just get in the way. He used Fromsoft's Bloodborne as an example. I've been looking forward to playing a tanky class for a while since I am infrequently a pc, so no access to heavy armour all but prevents me from playing a fighter or paladin or even cleric to a degree. I understand the solution is to just replace DEX with STR, but the other two players are playing Rogue and Ranger respectively. I don't want to be a near carbon copy of what they are, but I feel I must if I want to ever have more than 14 AC from my armour (half-plate and breastplate are also banned). The DM has stressed that combat will be deadly, visceral, and frequent, so rolling with an unoptomized build will probably be a poor idea. I could make some janky wizard-tank abomination, but not only do I not want to do that, my DM has been strongly encouraging me to play paladin so I can frontline and protect the other, newer players. How can I approach this situation, either by making a character who could work under these conditions or by talking to my DM without seeming like I'm whining because the other players are stronger than me? Do you think I'll survive your game with X less points of AC, given that you said it will be visceral and deadly? Otherwise we need to come up with a solution or I'll need to play something other than a Paladin. That should start the conversation that will find you a solution, which can be as simple as "just set your AC to heavy armor level and we'll not talk about it" to "oh, maybe we should bring back heavy armor" to "hmm, maybe a Paladin isn't a good fit for this theme then". Your DM, especially if new, probably doesn't really see the full ramifications of their choices yet. They're just picturing a cool videogame and expect that if they cut away D&D's game mechanics that everything will work like the game they know. You're the one with enough experience to know that's not how it works, but you'll have to have an honest discussion with them to help them see that. Talk to him about the burden he's putting on you. Talk to him about what he's asking you to do. Point out how hard it's going to be to tank without proper armor, how much more likely you are to die, and point out that he's asking you to do this. Don't make him out to be the bad guy here though, just try to make him see how ineffective/likely to die your character is going to be with his restrictions. If you have any art skills, draw up some heavy armor that fits the style. If you don't try to describe or google it. Show him that heavy armor can still fit his world just fine. Talk to him about having magic armor. Make it functionally identical to what ever equivalent you would normally have at that level. Or maybe craft the armor out of special/rare materials such as adamantite or mithral if they're available to the setting. This way you're still able to tank and his aesthetics are still held. This is a good compromise that should make both of you happy. The core of the problem is that your DM is conflating an important game mechanic with its corresponding worldbuilding implications. Luckily, this means that a solution should be relatively straighforward. I think the best way to show your DM how much this ruling affects your character is to do a calculation or a simulation. You can easily write out a big list of attack rolls by a CR-appropriate creature, add the appropriate attack bonuses, and count how many more hits and how much more damage your paladin would take if his AC was 14 instead of 18. For example, a Zombie (MM 316) has a +3 to hit. A quick calculation shows that an AC of 14 will get hit 50% of the time, whereas an AC of 18 will get hit 30% of the time. This means that you're going to take 60% (50% being 1.66 times larger than 30%) more damage from this zombie according to this house rule. Your DM has already expressed an interest in you being a tank, and I think that showing him how big of a difference this ruling makes will go a long way toward convincing him to keep heavy armor in the game. A book of this size can't contain statistics for every animal inhabiting your D&D campaign world. However, you can use the stat block of one animal to represent another easily enough. For example, you can use the panther statistics to represent a jaguar, the giant goat statistics to represent a buffalo, and the hawk statistics to represent a falcon. Therefore, heavy armor doesn't have to actually be heavy armor. Maybe he can rule that it's actually just well-made light armor, or it's magic light armor that's more protective. This compromise preserves what both of you want: you regain the original game balance, and your DM gets to remove "heavy armor" from his game world. DISCLAIMER: I haven't played Bloodborne, I only understand it to be very much like Dark Souls. Those are the particular assumptions I'm running on. The specific points may be different (I'll mark them with italics, consider them only examples), but the methodology should apply nonetheless. the player has a multitude of defensive mobility options, and the enemies have very specific attack patterns and tells which, when mastered, allow the player to avoid most if not all incoming damage. Even if the patterns are made extremely difficult and time consuming to learn - to the point you will not be able to master them in one fight without superhuman luck - the game lets the player respawn infinitely and keep trying until they succeed. The only reason Bloodborne gets away with making you as fragile as you are is because it does all these things to make up the difference. If you really want our D&D game to do the same thing for theming purposes, then it needs to follow through and make up the difference. I'm not saying it needs exactly the same countermeasures, respawning in D&D would feel weird after all, but it needs something to make up the difference. This gives him the heads-up that the mechanics levers he's pulling are bigger than he might realize, and makes it clear that the countermeasures don't have to be boring either. I'd suggest to do your best with the AC you are allowed. Put points into Dex, as your primary stat. Pick a dexterous race, and start with a 16 Dex. Choose the Defensive fighting style. With that, scale mail, and a shield, you start at AC 19. You can take the Medium Armor Master as your first feat, which lets you use the +3 from your Dex (and also cancels the Stealth disadvantage of scale mail), and that brings you to AC 20. Since you're a Dex fighter in this build, use the rapier as your main weapon, which is fine, since most of your cool damage abilities are various forms of Smiting anyway. That will also let you choose Defensive Duelist as your second feat, which allows you to use your reaction to add your Proficiency to your AC for one attack per round. So that's a pretty darned good defense, even without any magic items or spells. I offer an alternative suggestion: accept the challenge. Use your creativity to find a way to use your paladin (cleric) side more expertly, more efficiently. And if this does not work, and you fall where with a few more AC you would not have fallen, then you and the GM can privately discuss what went right and wrong and what adjustments should be made. The important thing here is communication. Letting your DM know your concerns is important. He might already have an idea about how to balance this out. There's a reason heavy armor is in the game. The rules are designed around someone being able to shrug off blows in melee combat while the back row slings projectiles of some kind. If I were your DM and wanted to remove this, I'd need to find a way to balance it out, otherwise there isn't a point to a frontliner. Also, historically, people only started leaving armor behind because weapons were invented that basically made it useless, and those weapons became prolific enough to make mobility more important. However, this is a tabletop game where most of the combat rules involve melee. There's a reason some DMs absolutely do not include firearms in their games. How to handle a weapon like a gun that can penetrate through most medieval era armor is a difficult question. Most games I've played where guns were a thing broke down to everyone taking cover while they picked off the "frontliners" as they ran up and then outflanked the ranged enemies in the final sweep. In this situation, I'd ask for your DM to find a way to balance this a bit more so you can tank hits easier. He wants things to be like bloodborne? Add a dodge mechanic! Maybe people who ended their turn by moving more than five feet get a "+5 dodge bonus" to AC. Or, if you are the only one losing health, beef up the paladin's lay on hands! Raise the limits on casting, or increase the health gotten back. It wouldn't be out of the question, since you guys don't have a cleric. Heck, maybe he's planning on dropping health potions everywhere. Point is, there's a way to balance everything, even "armorless" campaigns. It's just a matter of finding a way that fits with the style of the setting. Seeing as, "his intent has always been to mitigate ALL defensive options, not just mine" he very well may expect you to die. It's also possible that he doesn't realize that your defensive options matter significantly more to the party if he expects you to take the majority of the beating. In Bloodborne, one of the features of the game that helps offset the tremendous beating you take is that it's easy to heal from combat. If he's planning to implement this feature in some way, and scale enemy damage accordingly, the lack of heavy armor may not be a problem. Honestly, I'm a huge fan of the soulsborne franchise, and this sounds incredibly difficult and interesting. If y'all figure out how to make this work, I would love to know how. I hate to say it, but if he can't figure out how to make up for the lack of heavy armor, my only advice would be to not get too invested in your character. Carefully select and use your spells, which by the rules is undoubtedly the best way to go about mitigating a lack of armor without creating an entirely new game mechanic to compensate for a lack of heavy armor types. Your Smites are probably going to have to become secondary to survivibility, though thankfully some variants of Paladin are very good at using spells to this effect. If you really want a non-Dex, AC-centered fix to a lack of Heavy Armor, the best solution I can think of is to argue for more "realistic" medium armor. With Breastplate banned the most obvious example of what I mean is also removed, but I'll use Scale Mail as an example. Aside from the armor's own leather backing, it would probably be the norm for trained fighters/paladin to wear some sort of padded armor beneath medium armor, if for no other reason than to prevent the armor itself from causing the person wearing it damage, as would happen if an arrow pierced the armor and carried metal fragments from the armor with it into the skin (more common historically with chain links, but hopefully I made my point). Of course, this second layer of armor would also have the benefit of increasing overall protection- A higher AC. Because of the DM's wish to avoid heavy armor, the trade off for this under layer would be that it only improves the AC by 2, maintains the weight of Padded Armor (8), and, if it was me making the request, I'd suggest wearing this second layer make the Max Dex AC bonus 0 by default, with the ability to equip this second layer corresponding to proficiency with Heavy Armor. This effectively eliminates the classes focusing on pumping up Dex from abusing the feature/option, and can turn Scale Mail into a somewhat weakened version of Chain Mail that should be able to hold a non-Dex centered Paladin over for a while. It won't make up for a lack of true Heavy Armor in the long run, but if you optimize towards Str/Cha and not Dex (and it does sound like you're wanting to do that) it should help in the first few levels while you pick up what magic you'll be relying on. If the DM goes for the idea... well, I can't guarantee that, though it should satisfy both the aesthetic and combat/lethality reasons for removing Heavy Armor. If the DM shoots you down here, my best bit of advice would be to request a suitable replacement feat/skill/spell/etc. (completely down to how you want to play) to make up for the lack of Heavy Armor in the setting. The ability to use Heavy Armor is heavily figured into the balance of classes that get it, so with its removal something should be inserted to attempt to compensate for such a gaping void. As a DM you'd probably agree to a thoughtful, meaningful feat meant to replace a basic class feature that is, for whatever reason, missing. I imagine your friend is no different. By removing Heavy Armor he's already shown he is willing to flex the rules. *Note- Was re-reading this after stepping away for a bit before posting, and if I just re-processed the party composition right you're a paladin front lining for a rogue and a ranger in a game focused on "frequent" and "lethal" combat. A 3 man in which the front line character is also probably the main source of any healing, the setting does not allow heavy armor, and the other two players are new and playing... nuanced... classes... Oh boy, you are really in for it. It could be a lot of fun, but if I were in your shoes I'd seriously consider being quite cheap and highly optimized in the build... Deleting the rest of what I wrote in favor of a suggestion. With your party composition and your DM's heavy armor rule I'd be interested to know if you're going to be allocating or rolling your stats. Ideally, if I were in your shoes, I'd like a naked CHA 18 (+any racial) and a 16-18 DEX and CON (+ any racial). Run to either Oathbreaker (if allowed) or probably Devotion Paladin level 6, give up on trying to equalize the lack of armor and see if I could get Polearm Master in exchange for a major class feature missing. Switch to Warlock for a few levels, preferably with Undying Light patron (? I think I recall it right) if allowed, if not, Fiend. Depending on how things are going I'd probably go Tome/Book Warlock, and raid a ton of spells from other classes for utility. Through this Warlock you can get Devil's Sight (useful in your position with the Darkness cheese combination- cheap but it might really save a pair of new players and not put your unarmored hide in the line of fire to do it), Shillelagh (quaterstaff + Polearm Master + Shield), and I can't recall if Green Flame Blade was in the regular Player's Handbook or UA, but that was fairly nice too. Even Fiendish Vigor, if you're not using Armor of Agathys, might be worth grabbing if you went Warlock a little earlier, as every 5 temp HP it can soak is 5 less you have to try to heal. You might also be able to grab Hellish Rebuke, Armor of Agathys would be worth its weight in gold, or, if Undying Light is allowed, you get bonuses to radiant damage, empowering Smites that can be used on short-rest Warlock slots. Eldritch/Agonizing/Repelling Blasts are always an option, too. Get your Warlock ASI and then go back to Paladin. I know you said you don't want to become some hybrid monstrosity, but it is via Warlock that I remember so many little utility and especially pseudo-tanky, punish-on-hit type spells that could let a lightly armored character hang out in the front line for a bit. It is basically a way of plugging a big hole left when Paladin has Heavy Armor taken away that does not really change the melee focus of the character, instead adding the potential for more smites, more utility, and without forcing you to build on another score. In fact, if you cherry pick the right combination you could probably wind up needing CHA and CON and being able to work around DEX, though I haven't read the classes in a bit so I'm a little fuzzy on the real optimization... But if you can get to slots of a moderate level casting Armor of Agathys with them could be the solution to all (most?) of the naked Paladin's personal problems, while an influx of ritual spells, ranged cantrips, and general skulduggery helps keeps the new players alive and going despite the caster being on the front line and deprived of his usual gear. Doubly so if your DM allows Oathbreaker Paladin. 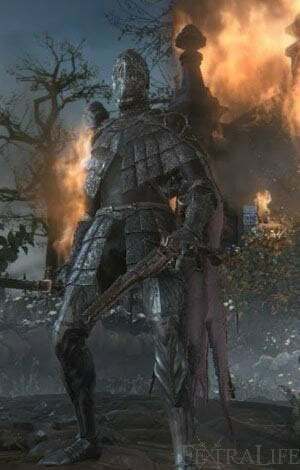 My two cent is that at its core, his problem is with visually 'Bulky armor', not the game-play mechanic 'heavy armor' itself, so just flavor the appearance of the heavy armor to that of a medium or light armor and use the statistics of the heavy armor and nothing will change balance wise. I can understand the desire for everything to make logical sense, but I advocate that at the end of the day, its just arbitrary numbers and imagination, the two are not dependent on each other. An alternative to the existing answers and inspired by @TonyEnnis might be to try and leverage some AC from elsewhere in a way that will appeal to the GMs gothic vision. "Ok, so no heavy armour, but how about house ruling me some gothic AC boosting weaponry like dual wielded lantern shields?" Those things (which may not really be as useful as they look but this is fantasy) are plenty gothic and it gives him something interesting to look into and come up with his own ideas for. Ask the DM to generate a houserule. As an example, ask for the DM to replace Heavy Armor Proficiency with Shield Mastery. Shield Mastery: You can use a shield as a weapon you are proficient in. It is a light improvised weapon that deals 1d4 bludgeoning damage. When using a Shield, you can replace your a Dexterity modifier to AC with a Strength modifier to AC. You can also use your reaction to active block. If you are hit by an attack, you can use your reaction to make an opposed attack roll with your shield; if the opposed attack roll beats the hit, the hit now misses. As a result of this, your AC will be a 1-2 points lower than a heavy-armor clad character. The active block doesn't quite make up for it. If you want a less mechanically complex compensation, you could just make shields worth 1 more AC with Shield Mastery. Your DM is being inconsiderate. He did recommend you become a paladin and he knows what paladins need. Let him know this, and ask him to create a magic chain mail medium armour that cancels stealth disadvantage and allows you to use the stat that you favor. When you DM next, have a grand piano fall from the sky on his favorite souped up super ninja wizard tank or whatever he made for himself! Not the answer you're looking for? Browse other questions tagged dnd-5e balance paladin armor or ask your own question. How can a disease be removed, if the description of the disease does not specify? How do I make this persuasion challenge with time constraints social combat work? Can the door to this area really not be opened from this direction in Tomb of Horrors?